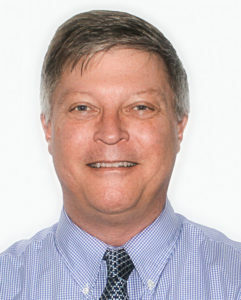 Bill Jones is the Director of Chemical R&D at Horizon Technology Inc. and has been with the company for 15 years. In this role, he manages the development of chemical products and accessories that work or interface with Horizon’s automated sample preparation instrumentation. He has expertise in analytical techniques such as: HPLC, ion chromatography, capillary electrophoresis , size exclusion chromatography, LC-MS, GC-MS, FFF, conductivity detection (suppressed, non-suppressed, contact and contactless), static and dynamic laser light scattering detection, UV/ photo diode array, refractive index, post-column reaction, electrochemical detection, solid phase extraction, hollow-fiber membranes, evaporation/concentration, and sample drying. Bill has over 35 years of experience in the analytical instrument industry having worked for companies such as Dionex, Waters Corporation and Thermo Fisher Scientific. He is a graduate of Rutgers University and, to date, has 8 U.S. patents and over 50 publications.